Hotel-Pension Vier Jahreszeiten Bad Elster, Hotel Germany. Limited Time Offer! Hotel-Pension Vier Jahreszeiten. "Hotel-Pension Vier Jahreszeiten" is a 3-star hotel. 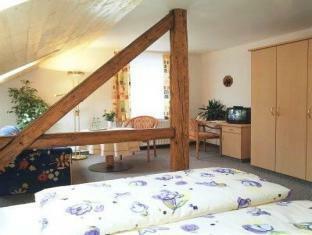 It is an excellent pied-a-terre from which guests can explore Bad Elster. 15 rooms are featured. The garden is perfect for a short walk. There is table tennis available. There are also bikes for rent so that you can discover the surroundings. After all your activities, a visit to the spa will help you feel refreshed. Give your health a boost in the sauna. There is no need to go out searching for dinner as there is an onsite restaurant. Access to the Internet is available at no extra charge. 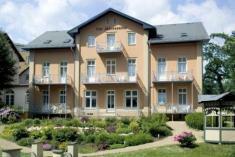 Our Hotel-Pension Vier Jahreszeiten is located directly in the heart of the city of Bad Elster.